I hope, for your sake, that you have not chosen to read this book because you are in the mood for a pleasant experience. If this is the case, I advise you to put this book down instantaneously, because of all the books describing the unhappy lives of the Baudelaire orphans, THE MISERABLE MILL might be the unhappiest yet. Violet, Klaus and Sunny Baudelaire are sent to Paltryville to work in a lumbermill, and they find disaster and misfortune lurking behind every log. The pages of this book, I’m sorry to inform you, contain such unpleasantries as a giant pincher machine, a bad casserole, a man with a cloud of smoke where his head should be, a hypnotist, a terrible accident resulting in injury, and coupons. I have promised to write down the entire history of these three poor children, but you haven’t, so if you prefer stories that are more heartwarming, please feel free to make another selection. same plot and when you know what is going to happen, as Snicket keeps telling us, you don’t really find a need to read the rest after that. If you just read 1 and 13 you probably can get the gist. But we won’t, we started now we must finish and I think four was not that bad compared to the rest, nor as dull as I was expecting. There are a few differences which was refreshing, the circumstances are different, there are different characters. Ignoring the unchanging and annoying narrating style and looking at the content, book four starts off rather dull and you do as the children do and try and play a game of ‘spot count Olaf’. Though when it isn’t who you expect it gets a little better for awhile as you wait for him to appear. The children aren’t as stupid this time round, they are finally catching on to the trickery and deceit which is a change. The story really picked up about halfway through and I think being in such a peculiar settings adds something to the overall story and reception. I do have to say though that it is rather hard accepting what these kids do, especially around the obvious toddler who only had four teeth. It is a weird reality where whether two or ten you are all treated the same. As I say, ignore all this and focus on the fact that it is a different story and it is pretty good. You have to give Snicket credit for being creative even if he is repetitive and outlandish, which when used in this context means strange and peculiar. We finally see the children actually react reasonably and realistically to what they are subjected to which was also a nice change, even if only temporary. 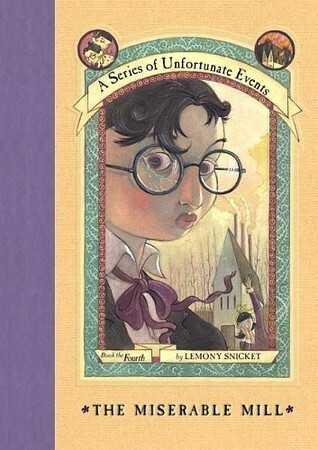 As a series there is definitely a slow but strong single narrative developing underneath these scenarios; Count Olaf tries to get the Baudelaire fortune and the three siblings are put in strange situations that only get weirder, more unrealistic, and irrational as each book continues through this narrative. There is violence and abuse in this book, like the previous ones, but in the Snicket manner they are brushed aside and not focused on in great detail for them to be gruesome or traumatic (though they seriously should have been). Ignoring the unrealistic nature, and accepting that this is how the world works, it was a nice little adventure to progress the story. Snicket is consistent if nothing else and being a series of unfortunate events there are no bones about it, which is a phrase meaning to say clearly what you think or feel about something, (see how that could be annoying through an entire book? Every book! ), he does it very well. To be honest, this is the book that I stopped reading the series. It was all well and good up until this point however, I just felt, as you said, it was all really the same thing. Should have been called the Series of Unfortunate and Repetitious Events. I was so tempted as well but considering it was 4 of 13 I figure something had to happen because there was no point otherwise. That’s why when new thing happen, no matter how small and seemingly unimportant, it becomes a big deal in my eyes. Dedication. 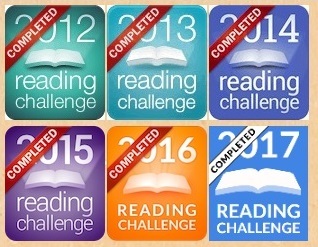 That is what these books need. And patience.